Teal Blue Taffeta Sash for hire alone or with our chair covers. Dark Silver Taffeta Sash for hire alone or with our chair covers. Ivory Taffeta Sash for hire alone or with our chair covers. Lilac Taffeta Sash for hire alone or with our chair covers. Cadbury Purple Taffeta Sash for hire alone or with our chair covers. Antique Gold Taffeta Sash Hire Alone or with our chair covers. Hot Pink Taffeta Sash for hire alone or with our chair covers. Navy Blue Taffeta for hire alone or with our chair covers. White Taffeta Sash for hire alone or with our chair covers. 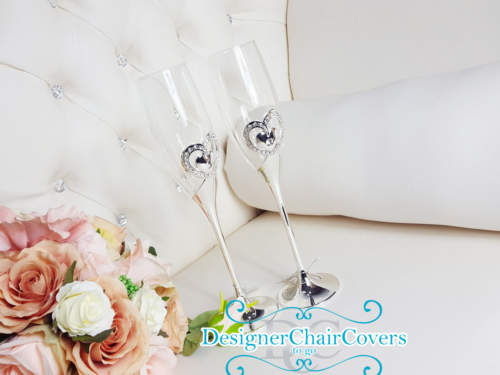 Hire with linen, stretch, black or our designer range of chair covers For brides that want that white clean look with a pop of bold sash colouring. 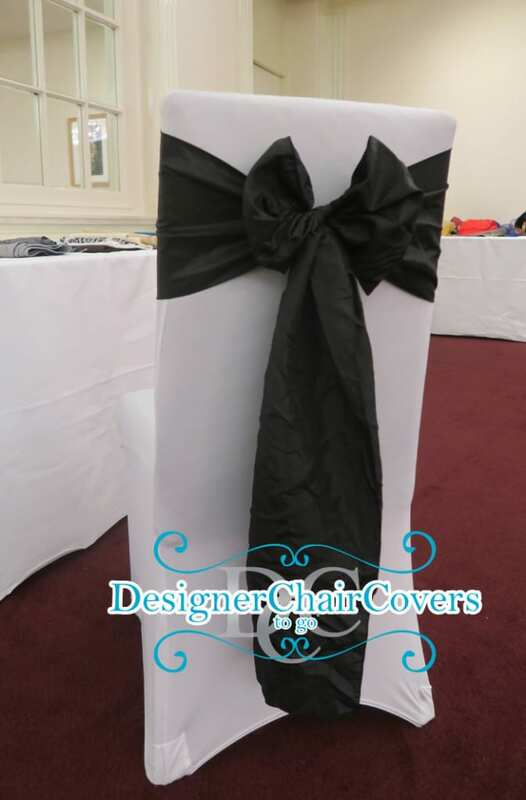 Flock Sash - Black and White for hire alone or with our chair covers. 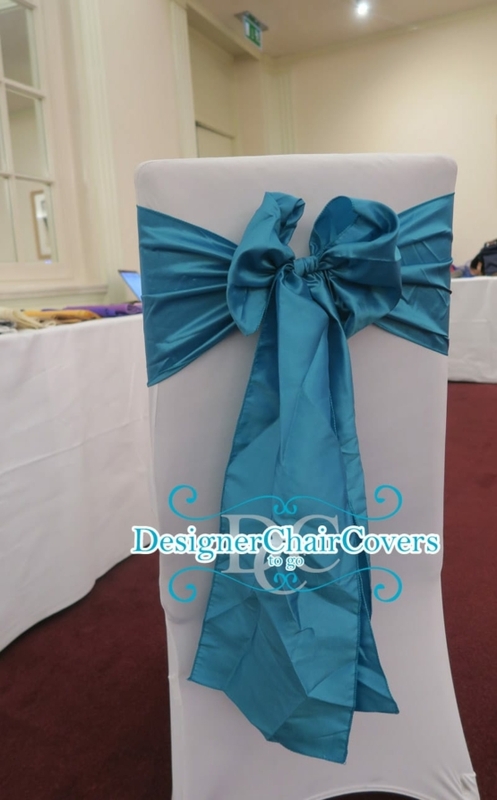 Hire with linen, stretch, black or our designer range of chair covers. Create the ultimate statement with such a bold contrast of colours. 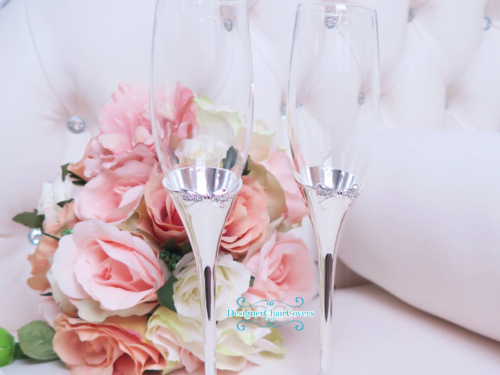 This really would create a fun decoration piece for your chair covers. Red Taffeta Sash for hire alone or with our chair covers. Also known as Post Box Red. Dusky Gold or Champagne Gold Taffeta Sash for hire alone or with our chair covers. Royal Blue Taffeta or our name of Electric Blue Taffeta is for hire alone or with our chair covers.